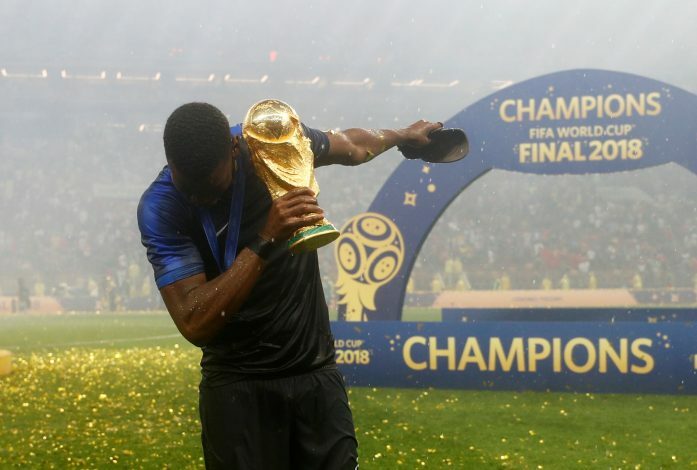 Paul Pogba has had a phenomenal World Cup, aiding France in attaining the biggest title of them all. His goal was a crucial aspect in the 4-2 scoreline against Croatia going France’s way in the finals. This was an additive to a brilliant tournament wherein the Manchester United midfielder functioned as a crucial cog in France’s star-studded lineup. In fact, on more occasions than one, the 25-year-old was utterly different from the Pogba whose future at Old Trafford was questioned during the second half of last season. Surely this outing in Russia has quelled those rumors. However, it turns out that one man is adamant to not let it settle. This individual is none other than Pogba’s super-agent Mino Raiola, who had spurred on the prior links of his exit in the first place. Now, Sports Witness have outlined numerous reports from Catalonia that indicate that Barcelona is a destination that Raiola wants Pogba to pursue. The report states that Raiola has traveled to Barcelona to discuss potential terms with the La Liga giants. The claim from Sport believes that the agent has made it clear that for €150 million, Pogba will be a Barcelona man. A meeting with Barca’s technical director Eric Abidal allegedly took place, and it appears that the Spanish giants are not interested in making the signing, and that they are looking for a star “much more talented on the ball than the Manchester United player”. It remains to be seen whether any truth exists to this report, as it would have readers believed that Raiola remains eager at wishing to sell Pogba after his World Cup heroics. Yet again, issues with Mourinho and the need for a bigger challenge have been cited as the reasons. Surely it will come to nothing, or does this transfer window have yet another twist to it?